If there was ever a reality-show moment to tightening homeland security it would be right now, as President Donald Trump’s famous Big Beautiful Wall on the Mexican border is slowly becoming a reality. U.S. Customs and Border Protection announced last week that the construction of eight prototypes for the much-discussed and much-needed border wall just wrapped up in San Diego. 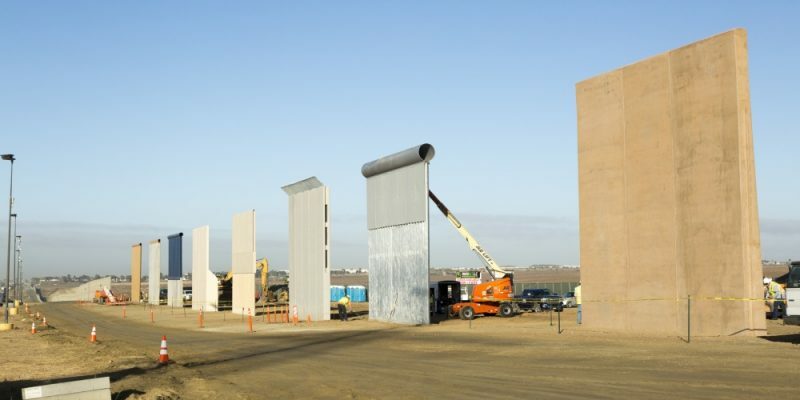 U.S. Customs and Border Protection (CBP) announced today that construction for prototypes of the Border Wall has concluded in San Diego. Some of the companies vying for the contract include Texas Sterling Construction Co. out of Houston, Caddell Construction Co. out of Alabama (who made two different prototypes) and W.G. Yates & Sons out of Philadelphia, Mississippi, who also made two. Some Arizona and Maryland companies are also in the race. Border Patrol noted that there are several characteristics they are looking for in the designs of these walls. Anti-breaching capabilities, anti-climbing capabilities, anti-digging capabilities, impedance and denial of traffic and safety of Border Patrol agents all factor into the final choice. You can check out more photos of the prototypes here.